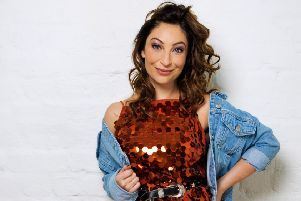 Chequer Mead Theatre in East Grinstead has just announced a superb line-up of comedy gigs for summer 2019. Organisers say it’s a laugh-a-minute programme to suit all tastes. First up is arguably the best one-liner comic in the UK, Gary Delaney. He will perform his new show, Gagster’s Paradise, at the venue on Friday, May 24 (8pm). Gary is a regular on Mock the Week and one of the stars of the new Live at the Apollo series. The scruffy yet charming Seann Walsh is next, back on tour after his well-received USA TV debut on Conan (the Conan O’Brien show). He comes to Chequer Mead on Thursday, June 6 (8pm), with After This One, I’m Going Home. A spokesperson said: “Team captain on Virtually Famous (Channel 4) and a regular on Play To The Whistle (ITV), Seann is no stranger to TV shows including: Live At The Apollo, Tonight at The London Palladium, Celebrity Juice, 8 Out Of 10 Cats and Russell Howards Stand Up Central. Hal Cruttenden will be the headliner at this season’s East Grinstead Summer Comedy Gala on Friday, June 14 (7.30pm). Other performers to be announced. Hal is an accomplished writer, actor and stand-up and has appeared on many TV shows, including Have I Got News For You, Channel 4’s Comedy Gala and The John Bishop Show. Then, star of The Last Leg and the sitcom JOSH, Josh Widdicombe is bringing a work-in-progress show to East Grinstead. The event takes place on Tuesday, June 18 (8pm) and will allow the acclaimed funnyman to try out some new jokes. Finally, the deadpan American comic Rich Hall presents his acerbic, absurdist and musical material on Friday, June 28 (8pm). Call the box office on 01342 302000 or visit www.chequermead.co.uk. 10 things to see in West Sussex, Friday to Thursday, April 12-18. Click here to read more.